I had never been to a chiropractor in all my 65 years and was very apprehensive. Dr. Mark explained the process in language and terms easy to understand and addressed my concerns which allayed my fears. I agreed to start a course of treatment involving a series of appointments for adjustments. With each visit am seeing an improvement and making slow but steady progress towards a healthier me! I have been pleased with all my visits. I am so happy to be feeling better and feeling alive again. I went out to Sho Tai, another avenue that is also helping me health wise and all my numbers were up. They were very surprised. Also my massage therapist has been really happy that I am improving. Ever since my stroke 5 years ago in May I have been struggling in so many ways and also with depression. I am finally seeing breakthrough. Thanks so much Mark for all you have done to help me get to this place. I have only been to one chiropractor as a kid that I liked. Your office just topped that one. I really enjoyed having all my questions answered and the whole experience itself was great. The whole visit from when I walked in to when I walked out was an awesome and relaxing atmosphere. I was delightfully surprised with my first visit to Dr. Mark’s office. He explained everything thoroughly. Within minutes of meeting him, I felt comfortable and very confident that he is as fantastic a doctor as the person referring him indicated that he was. He understands how the body is a complex system and how life affects those systems. He talked about stress and how it affects us. He talked about the importance of alignment and flow and I was very impressed with this. I was impressed with the overall experience and would highly recommend him and his team. Trina at the front was awesome! I have continued to see Dr. Mark on a regular basis. I have 99% of my pain resolved in my biceps having now been able to do day to day activities normally. I continue to go very eagerly as I am psychically seeing results in my body’s ability to cope with the daily stresses and strains of a busy working mother! It is also of importance to note that my 17 year old daughter is now also seeing Dr. Mark on a regular basis to help with extreme whiplash having been in a severe accident just recently. Dr. Mark has been VERY caring and concerned in seeing a young person in pain. The treatments have benefitted my daughter greatly. (Thankful to MPI that recognizes the benefits of chiropractic treatments!) Therefore, I would strongly recommend chiropractic treatment for anyone. Not just for injuries but to acquire a feeling of over all wellbeing. In the summer of 2011 I suffered greatly from a pinched nerve on the left side of my neck & shoulder. On visiting my doctor I was prescribed pain killers and sent for physiotherapy. After having gone to physiotherapy three times a week for several weeks, and still having no relief I was sent for acupuncture two times a week for 10 weeks. With only little relief a friend suggested Dr. Mark at Great Life Chiropractic & Wellcare Centre. With some reluctance I decided to give Dr. Mark’s activator method a try. After only 2 sessions with Dr. Mark my pain subsided. After several more sessions I saw 90% of my numbness in my left arm relieved allowing me to sleep better, feeling rested in the morning and being able to caring on with my daily activities. I am a 74 year old woman with many health issues. I happily continue to see Dr. Mark on a regular basis and feel I have benefited immensely from his professional expertise and his caring manner. Dear Dr. Mark, I received a birthday card from your office. My thoughts were: is there no end to the wonderful and thoughtful things he can think of to do? Never in my 71 years has a doctor ever sent me a birthday card. By the way my back is doing great! Thank you, again. Thank you Dr. Mark for the article on Restless Leg Syndrome and your input on drugs for everything. I especially agree with you on that. The doctor for my son, Michael tried to prescribe prednisone so quickly for his chron’s disease, and I am glad I did not accept that. He is doing very well, so why, with all the side effects, would I put him on those drugs? Love reading your articles, keep them coming! -Donna B.
Dear Dr. Mark Kowalczuk, I want to tell you how much I appreciate your wonderful work and your great help to me, personally. Being from Belarus, I have never heard about Chiropractic and was very much amazed to see how it works. Your adjustment was a sort of MIRACLE to me and I could not imagine that it could work for me also. I had a lot of problems with my joints, could not turn my neck for a long time, my right hip was aching and my right shoulder was aching, too. After four appointments, I can move my neck, and I can now sleep on my right side again, and it’s wonderful! You did it, and, I am very thankful to you. People are very kind in Canada, and you proved it again. It is really a miracle! I will never forget you, Doctor. Have you ever suffered from RSD, Chronic Pain or Concussion? My name is Gisele B and I suffered from chronic pain for the past 5 years due to a fractured ankle, Reflex Sympathetic Dystrophy, and most recently, due to an in-home accident, I experienced a concussion. I had to re-organize my whole life associated with pain. I lost my employment, apartment, and finances due to the inability to stand or sit for too long. I was DEVASTATED. As for the concussion, I suffered trauma to the head, had bruising, as well as, short-term memory loss. I felt anger and resentment for my situation. When I tried to get up in the morning, sitting up was an issue, but walking was near impossible. I became very depressed, felt unworthy, useless, and incapable of doing what I was capable of doing previously. I isolated myself and even suicidal thoughts came to mind. I then decided that I was not going to live this way. I started walking short distances at first. I made an appointment with Dr. Mark Kowalczuk. I can remember the atmosphere in the waiting room. It was calming, peaceful and welcoming. Dr. Mark had to use an adjusting table to meet my needs because I felt shaky and weak. Dr. Mark performed different techniques with his Activator instrument, all the while respecting my emotional state. Dr. Mark always had a welcoming smile and reinforced positive and affirmative words of encouragement when I was not feeling well. He also recommended a healthy diet of protein, fruits and vegetables. Today, I am walking where I want to go. I attend my appointments twice a week, and my symptoms of chronic pain and concussion have decreased significantly. When I made my first appointment, I knew and felt that Dr. Mark could give me my freedom to walk again. I owe Dr. Mark a debt of gratitude for his care and his gentle adjustments with the use of the Activator. Dear Dr. Mark Kowalczuk and Staff: I want to thank you for your help to get me home. My back is much better, but I will wait awhile before going back to work. There are 3 DC’s here who use the Activator Method technique – all downtown Edmonton. Once again – thank you for going out of your way with your care, concern and superior service! 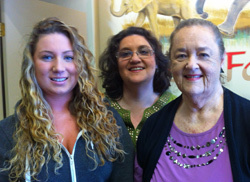 Relief from Childhood Asthma and Juvenile Rheumatoid arthritis: I feel blessed as a family to be in Dr. Mark’s care. He is truly committed to his patients’ well-being and listens when concerns are voiced. I have three children who are affected by asthma and juvenile rheumatoid arthritis. After a short time of being under Dr. Mark’s care, I have seen dramatic changes in my children. I no longer see red, swollen and inflamed joints. I see improvement in range of motion and mobility, and daily medication doses have stopped. As a parent, there is nothing more gratifying than seeing well-balanced, healthy, happy children. I went to Dr. Mark with Sciatica in both legs and could not walk without pain. Within a week he had given me some relief, enough to walk straight and be able to sit. It took a month, but I was up and walking and able to drive without pain. He has been a great help in my recovery and I am so thankful that I did not have to take any medication. Thank you again for all your help. Interested in becoming another one of our success stories?